At Progressive Healing Acupuncture we feel that education is an integral part of public health. It is due to this belief that we devote our time to educating the public, by participating in both public and private outreach events. 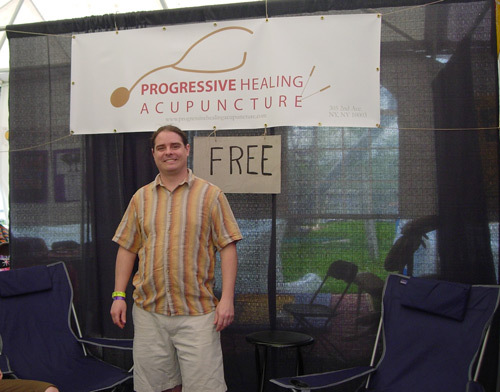 At theses events, we provide free community style acupuncture (acupuncture in an open group setting) and are available to answer any questions that people might have about Acupuncture & Oriental Medicine, as well as western medicine and other healing modalities. 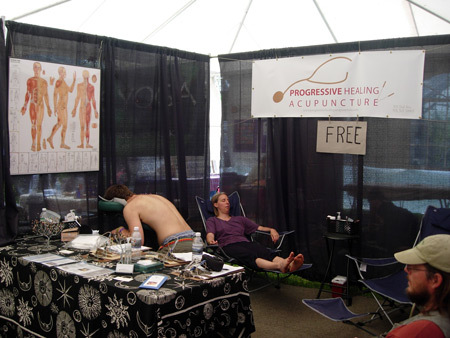 This was our first time providing free community style acupuncture at Mountain Jam and we treated over 75 people in 3 days. I had a great time treating so many wonderful people, most of whom received their first acupuncture treatment ever. 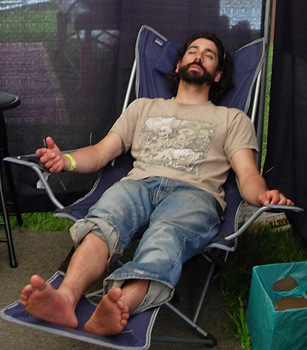 I would like to thank Mountain Jam and Woodstock Wellness for organizing the Awareness Village. And I'd also like to thank for Lahsa OMS and Pacific College of Oriental Medicine for their contribution of Acupuncture supplies.